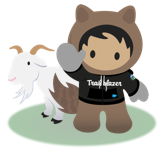 Join us in Houston on Tuesday, December 11, to find out how Trailblazers like you are using the Customer Success Platform to achieve a 360-degree view of their customers and learn about the latest announcements from Dreamforce 2018. We will also host a panel of local Trailblazers who will share their firsthand tips about driving customer success with Salesforce. Plus, you’ll learn how Einstein Analytics can help you make smarter decisions by uncovering hidden trends in your data using intelligent predictions that you can scale for your business.